Guys, we made it! Happy first day of Spring! It has felt like a long time coming, but it's finally here, and I couldn't be more excited about all that is to come in the upcoming months. Give me all the spring things (warm weather included!) and I will be a very happy girl! I had a little taste of spring/summer a couple weeks back when I was in Miami & I was in heaven. I took full advantage of the beautiful weather and broke out all of my favorite warm weather pieces, including a few new things. One of those pieces being this beautiful v-neck jumpsuit... I mean is it gorgeous or what!? It was one of those pieces that I had seen and left the store without, only to return a week or so later because I just knew I needed it. When you know, you know! I am SO happy I returned back. 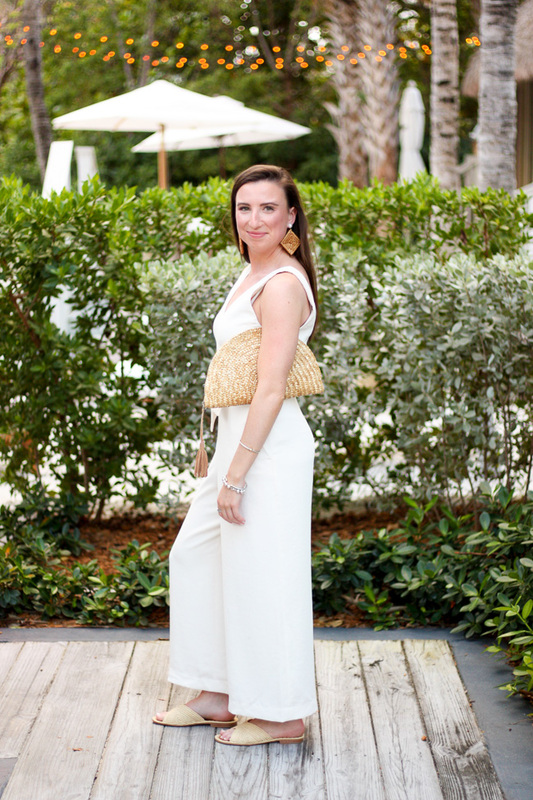 It is one of the most flattering jumpsuits I own, and a piece I know will be a wardrobe staple for many seasons to come. Aritzia described it as a one-piece wonder you can't live without - I second that statement! I am excited to style it more in the upcoming months as I know it is one of those pieces that will be extremely versatile. 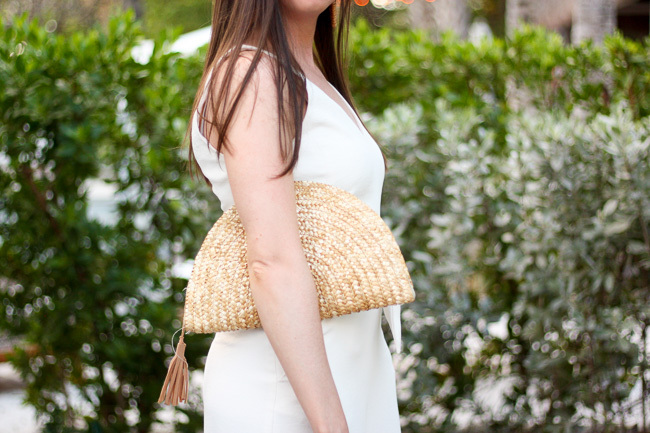 It can be dressed up or down for any and all occasions, which is a win in my book. It comes in a few different colors other than white, but I am kind of obsessed with the white. 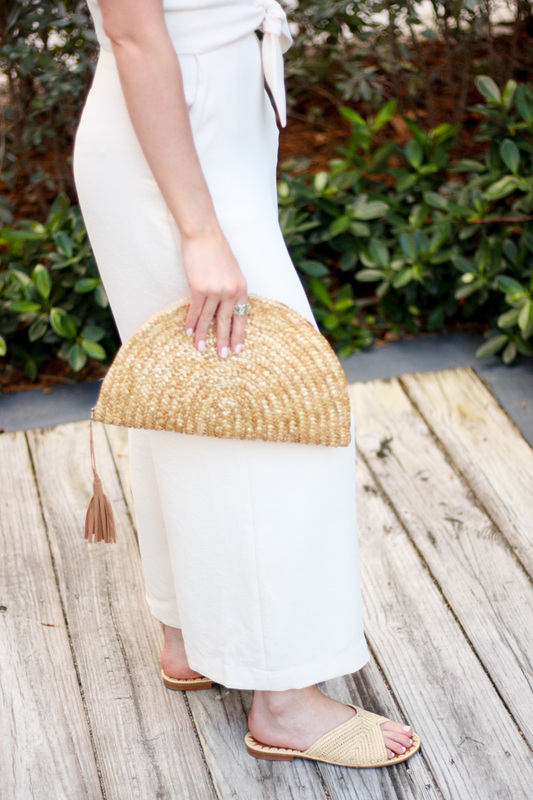 For any future brides out there, this jumpsuit would be perfect for wedding festivities! If you're not about to walk down the aisle but just really love a good monochromatic look like me, then this is perfect for that as well. 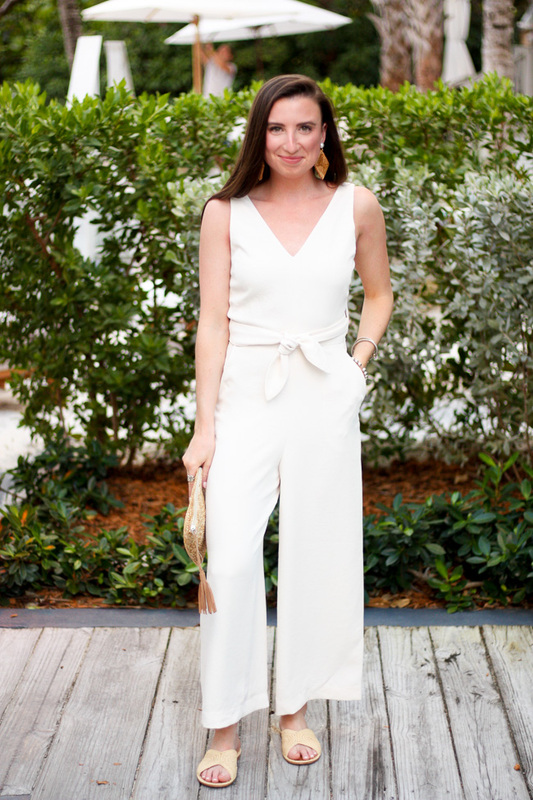 Sharing a few other of my favorite white jumpsuits below! But also be sure to check out this ruffle jumpsuit and tie-back jumpsuit - both very similar to the one I am wearing above! Enjoy! The Conclusion to My 101 in 1001 List!